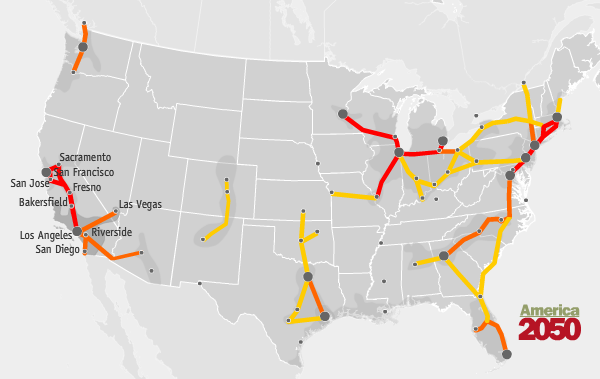 Promising signs are coming from the United States that the country who gave the world the post-war car-dependent suburban dream is finally dreaming about a future based on sustainable development practices and with high-speed rail at the core. The exhibition invites locals and visitors alike to discover new ideas for establishing sustainable public transportation in LA. 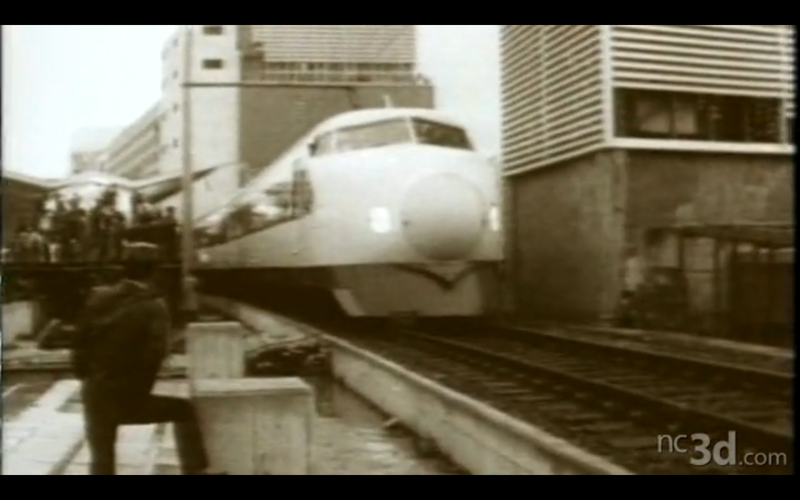 The world's first high speed train was launched in Japan in 1964 and looked strikingly similar to an aircraft. Currently running in Los Angeles is an exhibition presenting ideas from around the world that consider a future beyond automobiles for the car-centric Los Angeles. 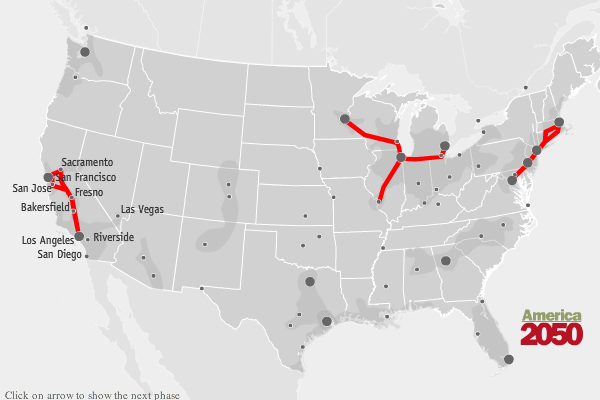 Below are two fantastic animated videos taken from the exhibition which give a brief history of high speed rail in the world and also visualize the how life would be in the age of high speed rail in the United States. Reyner Banham, the author of 'Los Angeles: The Architecture of Four Ecologies, 1971', was famous for having said that he learned to drive so that he could read Los Angeles in the original. 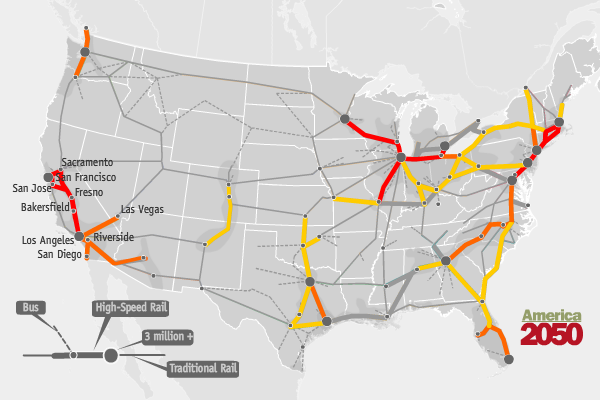 The introduction of high speed rail to LA would, in my mind, lead to a modern city revolution. After a recent trip to Manchester, a city famed for it's canal system that revolutionized it's development during the industrial era, what became increasingly apparent to me was that while transport infrastructure plays a lead role in the growth of the city, it is not long before a new model is embraced replacing the previous redundant infrastrucutre. Now the canal system of Manchester, while unkept for the most part, is primarily used for leisure activities, and never used for the transport of goods for which it was designed and similarly Manchester's economy is aiming towards a leisure destination as a driver for it's economy. The recent construction of the Commonwealth Games complex out in Eastlands, the Millennium Square with tge mandatory 'big wheel' in the centre of the city, and it's trendy Northern Quarter are all testament to this. Recalling the photo essay, Empty LA, is it impossible to consider that L.A. might, like Manchester, practically abandon it's magnificent road transport infrastructure? It is hard to imagine the city without the car as the primary means of travel? Cities are remade and upgraded to continue economic growth. The risk for LA is not to become a relic of it's time and stubbornly refuse the new high speed rail transport revolution. 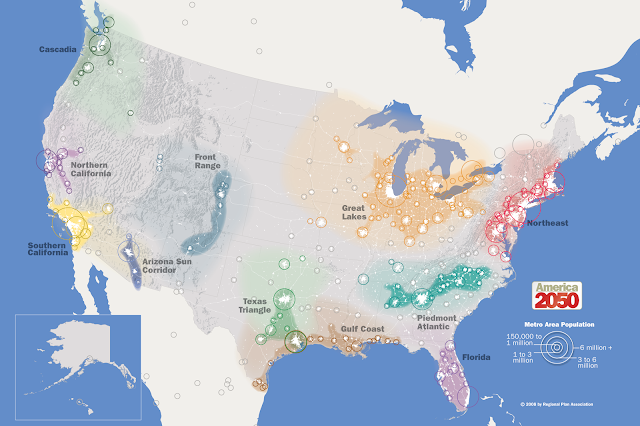 Mega-regional planning for United States. 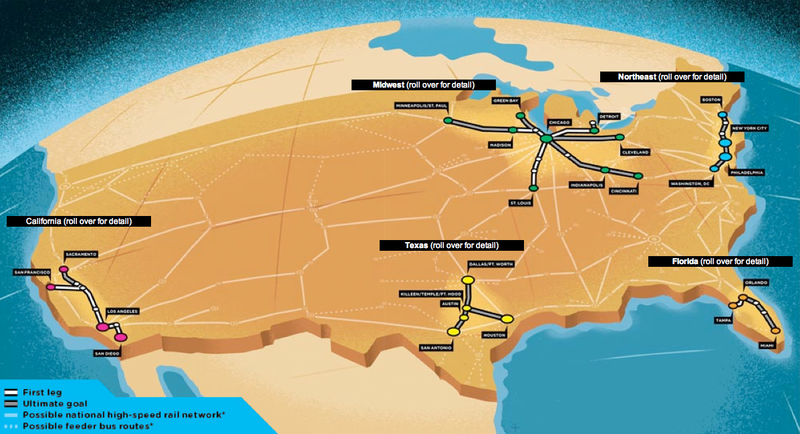 Stage one for proposed High-Speed Roll-out. railLA is growing as a coalition of experienced professionals, passionate citizens, and business leaders working together to ensure Californians benefit from the nation’s first viable high-speed train network.